The utility of the future is a hot topic for our clients in the energy space. What will it look like? Who will be steering the ship and who will be struggling to stay afloat? Transportation is a major part of that conversation, and no companies have upended the transportation industry more than Uber and Lyft. The American dream of automotive independence is being challenged in many cities where it is cheaper to use ride sharing than it is to own a car: New York, Washington, D.C., Chicago, and Los Angeles. As urban centers continue to become more highly populated, congested streets will continue wasting our time and polluting the air we breathe. The future of transportation continues to shift toward non-gas options with easier mobility and parking. The market’s response has included backyard conversions of diesel engines for vegetable oil–fueled engines, Tesla’s futuristic electric vehicles, Google’s driverless cars, and the sharing economy of Uber and Lyft. And the latest entrants in this innovative race to transform transportation are electric bikes and scooters. While we look at companies like Uber and Lyft as being the future of mass transportation, taking advantage of the shared economy model, they are prepping for this next move. Both Uber and Lyft have made big investments over recent months in bike and scooter transportation, swallowing the nation’s leading bike share companies such as Motivate, the parent company of Citi Bike (Lyft) and Jump (Uber). What does this mean for the energy industry? It means we keep rolling the dice to stay in the customer-driven game with courageous ingenuity and a fearlessness to try new things. The lesson is in the approach. Both Uber and Lyft are looking at transportation holistically, recognizing that the path to success means a path ready to handle all types of transportation, be it bikes, cars or scooters. As we think about how we communicate with customers, we must keep this idea of holistic marketing in mind. Uber and Lyft revolutionized the long-static taxi industry by creating a better customer experience for their riders. They created a relationship between riders and drivers that did not exist beforehand. 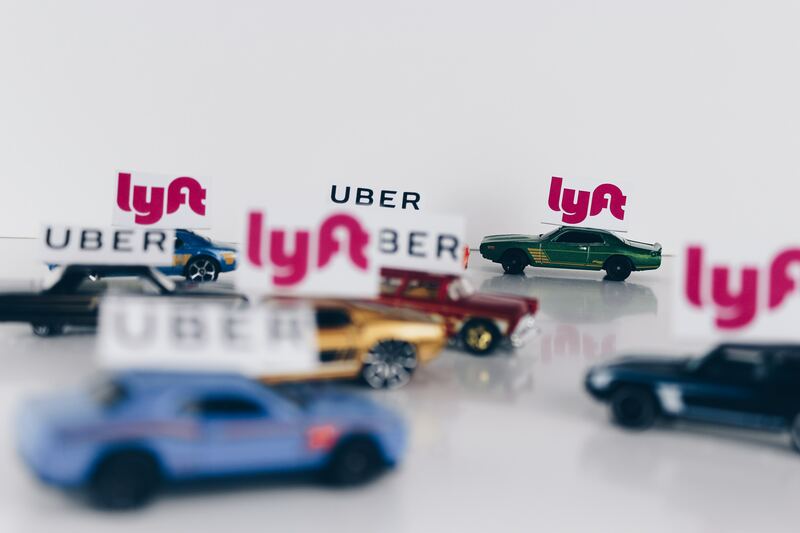 The trust that has developed from this relationship makes consumers want to come along for the ride and be open to the next chapter in Uber and Lyft’s evolution. Think of how Netflix won its customers though a mail-order service. Amazon won its followers through selling discounted books. Once they had the devoted customer base, they were able to bring those customers along in many different directions, and those customers have remained committed to the brands and the experiences they continue to receive. In our recent post, Lessons for Energy Marketers from Coca-Cola and Bud Light, we talked about personalization and the importance of microtargeting (aka getting personal with your audience). The success of companies like Uber and Lyft is directly tied to their ability to successfully plan for the future by bringing everyone along, not just one segment of the population. Ask yourself, what products do your products play with? Could you tap into a new market by leveraging connections that your products have with other products both in and out of your product’s category? Wallets are becoming obsolete as customers pay with their phones. Amazon will deliver your packages and your groceries with its own delivery company. What’s next? Uber and Lyft are focused on two key areas, product platform enhancement (not product innovation) and better customer experience (compared with taxis). By focusing on these two areas, they are building brands that customers enjoy, feel satisfied with and, most importantly, are not opting out of. Now is the time to determine your customers’ needs and wants in detail. What is their goal? In our transportation example, the goal is to get from point A to point B. Uber and Lyft have realized that it doesn’t really matter how their customers accomplish getting from point A to point B; it just matters that their travel experience is easy and works for them. You can apply the same thinking to your programs. Where are the areas in which you can improve your customers’ experience? From our point of view, the answers are almost endless. We have answered these questions for our clients in the energy space. Our mission is to build effective, data-driven marketing programs that enhance customer experience while delivering on business KPIs, and to drive action toward a more sustainable future. We’d love to help you too.